Modern archaeologists send radio waves into the earth to find unknown cultural heritage. 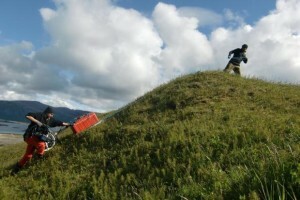 Have you ever seen a researcher pushing a cart up and down a hill, or back and forth on a field? 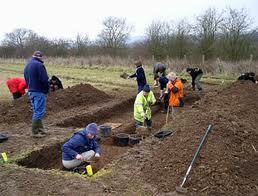 Then you might have seen a modern archaeologist at work. 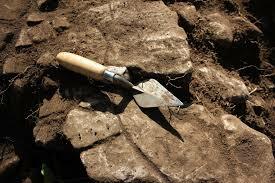 Geophysical methods are becoming more and more common in archaeology. They make it possible for archaeologists to discovered new pieces of cultural heritage without ruining anything, and also to plan where to focus an excavation before it states. NTNU University Museum and the Norwegian Institute for Cultural Heritage Research (NIKU) have created a database of all geophysical surveys performed for archaeological purposes in Norway. The review resulted in a recently published article about the application of geophysical methods in Norway. “Analysis of the database showed that even though geophysical methods appear to be relatively new in archaeology as they are covered by the media, they have in fact been in use since the 1960’s,” explains PhD student and archeologist Arne Anderson Stamnes at NTNU University Museum. By combining their information about surveys with an analysis of public records and guidelines, the researchers could evaluate what status and role geophysical methods have in the Norwegian cultural heritage. Even though such methods have been in use for a long time, they’ve only become prominent in the last decade. The most commonly used geophysical methods are the magnetometer and the georadar. A magnetometer measures tiny variations in magnetism underground. Items such as rocks and the remains of a fire are often more magnetic than the surrounding earth, and act like buried magnets. A map of all of the magnets in an area can be made by systematic measurement. Magnetometer readings can thus give a two-dimensional image of what is buried underground. A georadar sends radio waves into the ground, and measures how long it takes before these waves are reflected back, as well as the strength of the reflected wave. In a way, georadars create an echo, which can be used to determine how far down underground the object the radar signal hit is buried. A profile of different layers and structures in the earth can be made, and can be compounded into a larger, three-dimensional data set. While the magnetometer was the earliest method to be taken into use, the georadar has now become the most popular. Stamnes explains that these methods work well when combine, because together they give an even more complete picture of what is underground. Their database shows that the methods are very rarely used together. In addition, only one third of geophysical surveys were performed as a part of planning, archaeological excavations or for dissemination. The rest were performed as part of research projects. 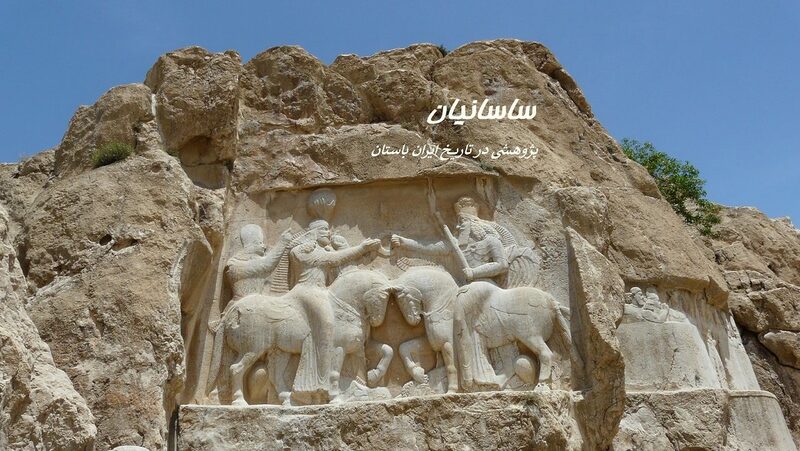 “This indicates that the application of geophysical methods is not an integrated part of the cultural heritage protection yet,” explains Stamnes. There are a lot of reasons why people are unsure, according to Stamnes. Technological limitations and low resolution limit the academic worth of some of the surveys. There is also a lack of research about how best to use these techniques in the environment and specific archaeology in Norway. “In some areas of Norway, the rock is highly magnetic. This applies to types like igneous rocks, metamorphic rocks and plutons. The intrinsic magnetism in these rock types makes it harder to detect archaeological structures with magnetic measurements. In areas with these types of rock, alternative geophysical methods that measure properties other than magnetism have to be considered,” explains Stamnes. “The traces of activity we have found in Norway are also highly variable in size and scope. 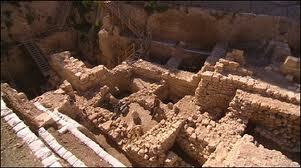 We aren’t looking for large, Roman villas or walled dwellings like they might find further south on the continent. We have to measure with higher resolution, which means spending more time in the field to get the resolution necessary to be able to detect the archaeological traces we are looking for,” he continues. There has also been a lack of academic milieu nationally, which has limited the information potential of individual surveys. An initiative from NIKU and NTNU University Museum is hoping to change this. There has been a lack of knowledge about the technical opportunities and limitations of these methods, but an increased interest in geophysical methods is seen as a sign that this is about to change.